West Coast Overhead Door is Southern California's trusted Garage Door Repair and Installation Service company - Our company values every customer that places their trust in us and we are proud to serve the Ventura County and Santa Clarita Valley. Our company offers services that range from repairs of an existing garage door or garage door opener to the option of installing new garage doors and automatic openers. When you work with us, you can feel confident that at West Coast Overhead Door you will always receive Quality at the Best Price. Call our friendly office staff today to have your garage door problem be a stress-free process. West Coast Overhead Door is a residential garage door company serving Ventura county (Fillmore, Ventura, Oxnard, Port Hueneme, Camarillo, Santa Paula, Piru, Simi Valley, Moorpark, Thousand Oaks, Ojai, Newbury Park) and its surrounding areas such as Santa Clarita Valley (Santa Clarita, Saugus, Valencia, Stevenson ranch, Newhall Ranch, Castaic, and Canyon County). We provide garage door sales, service, repair and installation at a fair & affordable price. 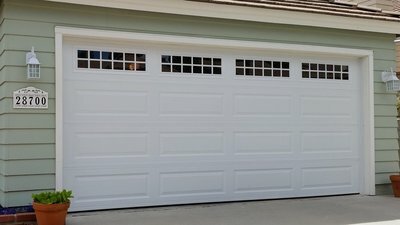 We offer the finest products from garage doors by Wayne Dalton, Unique Garage Door, and Amarr to garage door openers by Lift Master and Genie. West Coast Overhead Door is a family owned & operated business. So if your looking for a friendly, honest, & trustworthy service then you've found it. When you are looking for a garage door for your residential property be sure the garage door you are getting is dependable. 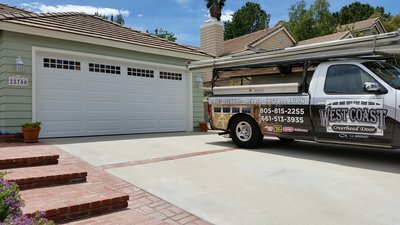 This is why you should take advantage of our services with over 15 years of experience, we have a growing reputation for providing the highest quality garage doors and openers, we offer you the most reputable names in the industry. SERVICE YOU CAN TRUST.....West Coast Overhead door offers highly competitive rates for service and repair.We believe in HONESTY and if we can fix it we will fix it no matter the brand of garage door you have we will service or repair it for you. We only carry top quality parts and we keep trucks fully stocked and equipped to offer you quick service allowing us to fix your garage door or opener on the first visit. Want to Add curb appeal to your home? Ever wonder what it takes to install a garage door and motor?